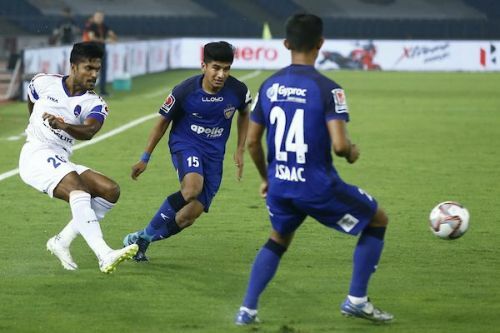 Delhi Dynamos' and Chennaiyin's winless streak in the Hero Indian Super League 2018-19 season continues as both the sides struggle to find the back of the net in a game which cried out for someone to inspire from the front. John Gregory will be content with the much-improved performance to keep the points board up and running for the first time this season. Despite dominating throughout the game, the failure to take numerous chances in front of goal has forced the Blues to wait long for the first victory of this campaign. The Chennaiyin coach will be utterly disappointed with this particular aspect. On the other hand, Josep Gombau will be considering himself lucky to secure a point following a dismal outing from the hosts. The blues shot-stopper Karanjit Singh was tested only once throughout the game which he parried away to safety to gain the first clean sheet of the season. From this 0-0 draw, we shall look at the five talking points from this game. Chennaiyin FC made one change to the forward line. The English manager started with Thoi Singh and Isaac through the either of the flanks, and the Spanish Orlandi came in for Mailson Alves, who operated behind the striker Carlos Salom. This enabled Raphael Augusto playing in a more defensive role in the middle of the park. The striker Carlos Salom had a gilt-edged chance in the 69th minute, but that shot was comfortably saved by the Delhi Dynamos shot-stopper Francisco Dorronsoro who looked commendable to win the One-vs-One battle. Francisco Fernandes had a great chance to give visitors the lead during the first half, but he completely missed the ball which should've struck the back of the net. Andrea Orlandi, who started the full game for the first time this campaign had another chance to open the scoresheet, but another poor finishing from close range made it impossible for the visitors to hit the ball on target and test the goalkeeper. 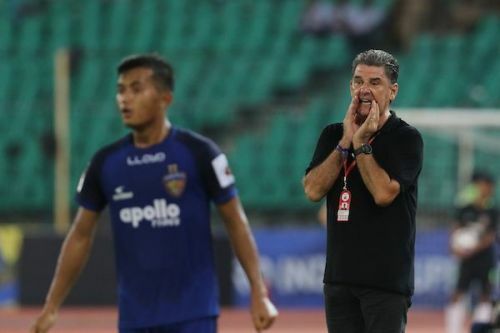 John Gregory was a frustrated figure after the first game where his side should've won the game. Instead, they had to settle for a point. He would be hoping for clinical nature from his strikers in the forthcoming games.